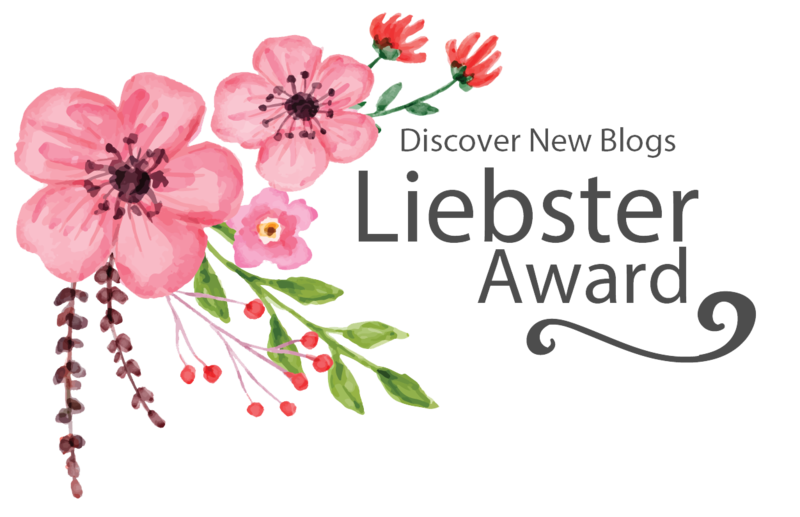 Recently I was honored to be nominated for the 2018 Liebster Award! Writing has always been such a huge passion of mine. It is part of the fabric of my being yet, I have struggled to share it over the years. I recently banished my shyness and fear of judgment in favor of following my dreams and fulfilling what I know is my purpose in this life which is to write. I hope you all have been enjoying reading this blog as much as I have enjoyed writing it! Connecting with other bloggers and reading their blogs has been such a cool experience for me. I want to give my sincere thanks to Amy at Dear Heart for the nomination and encourage all my readers to follow her blog! It is beautifully laid out and covers a variety of topics from travel to faith to great finds to family, motherhood and more! I love reading her writing because it is so relatable and feels just like talking to a friend! I live in the same small town in Massachusetts that both my husband and I grew up in. As a kid I thought it was boring but, as I grew older I began to appreciate the rural life and history of my hometown which was founded in 1683! I am a poet and story teller at heart. I have books, journals, and pages full of poems of all styles and lengths. I also have many book ideas and hope to write a novel one day! I became a mother right out of high school at the age of 18. I survived an abusive relationship but was later blessed with my husband who has raised my oldest daughter as his own since she was 2 years old. She is 11 now and our family is happy, thriving and growing. My second daughter Claire will turn 2 right before the birth of her baby sister or brother this June! I am eclectic when it comes to my musical taste. I like everything from classic rock to top 20 pop, to country to rap. You will find a little bit of everything on my playlist! I worked for years as a medical assistant in a variety of clinical office settings including acupuncture and most recently managed a chiropractic office. Those environments sparked a strong interest in natural remedies and alternative medicine. I even went to college for a short time to pursue nursing. I am now home full time with my kids and love it! My previous experiences as a single working mom allows me to appreciate every moment home with my kiddos and though I sometimes miss my old career I wouldn’t change where I am now for the world! I love to read and am a die hard library card holder. There is something special about an old library book and a dog-eared page that I just can’t get from my kindle! Have you read any good books lately? If so leave your suggestions in the comments so I can check them out! I am always looking for a good book to curl up with! I have an Etsy shop where I sell hand made nursery, home, and wedding decor. I used to give them away or as gifts until someone suggested Etsy to me. I find creating things to be very therapeutic and nothing makes me happier than seeing others get excited about something that was so much fun for me to make! My favorite is macrame and other fiber arts but I am hoping to learn to sew as well. I love nature and have always felt such a strong connection to it. Nothing makes me happier than a woodsy walk, a day at the beach, or sitting by a lake watching a gorgeous sunset. Even more ironic is that I named my oldest daughter Autumn then a few years later started dating my husband who’s last name (and now mine) is Winters! I grew up Catholic but, fell away from my faith as a teen. After I started dating my now husband and my life began to stabilize I felt God calling me back to him. I searched spiritually for a while but found my way back to the Church a couple of years before I got married. I consider myself a “re-vert” and a Christian. I love drawing closer to Jesus by learning about my faith through fresh eyes. Like my hometown I see the beauty in my spiritual home of the Church now more than ever! I am a master song-maker! I love to make up silly tunes about ordinary tasks for my kids. I always sing in a goofy way but don’t sound that bad when I am in the car alone and no one can here me. If I wasn’t so shy I would perfect it and make it a hobby. In my element, sunbathing by the lake! What was the last movie you saw in the theater, how was it? An anime movie from 1986 called “Castle in the Sky”. My oldest daughter loves to read manga and watch anime and a local theater plays selections from the renowned Studio Ghibli about once a month. The showing was in Japanese with subtitles and it was cool to see it on the big screen! What is your favorite book? This is too tough a question to answer! I love so many so, instead I’ll list some genres, mostly books about spirituality, romance novels, history and classic literature. What book are you currently reading? I’m actually between books at the moment! Any suggestions? Are you a dog or cat person? Why? Both! The first pet our family had was a white cat named Lucky. Neither me or my husband were particularly “cat people” but, she was like no other cat we had ever known, a cat with a dog’s personality! Sadly she was scared out of our yard by our former neighbor’s loud lawn equipment and we haven’t been able to find her. That was about a year ago and we don’t have the heart to get another cat. Currently we have a dog and we love her! What do you believe is your greatest accomplishment? Definitely my family. I always wanted to be a wife and mother so I feel like I am living that dream. Where is your favorite place to travel? Down to Arizona where my best friend lives. It is such an opposite landscape, dialect, and lifestyle to here in New England. Although it is in the same country it might as well be another planet as everything there is so different! Last trip we got to go to the desert and crack rocks to search for geodes! It was the desert equivalent of shelling at the beach and I thought it was so fun. What is the best gift you have ever received? Definitely my engagement ring! Who are those public voices that currently influence you? (Pastors, motivating speakers, celebrities, etc.) I am so inspired by the speaker and author Autumn Miles! I found her on YouTube after the birth of my youngest when I was looking for something inspiring to listen to during a walk. I searched Proverbs 31 and she popped up. My oldest girl’s name is Autumn as well so it drew me in and I have been soaking in her words ever since! I listen to her Texas based radio show through Podbean when I drive or do housework and I highly recommend it. In your life, what would you describe as your most courageous act you yourself have done? Leaving toxic people in my past, facing my problems and working to change them. What is your favorite guilty pleasure? Chocolate, wine, and reading in a hot bath (if I can do it all at once it’s even better LOL). If you could travel to any place in the entire world, where would you go and why? There are too many places I would love to go and have yet to travel to but the top of my list currently is Ireland. I love the thought of all the history and magic in the land there and would love to drink at a pub and see the beautiful green hills. Mel at Loving Simplicity– Step by step DIY, crafts, recipes, and simple living! Erin at Mrs. Mother Dirt-A nature loving Mama sharing stories of family life, fun unplugged ideas, and interesting opinionated essays. The writers at The Millennial Fiat -Heartfelt posts about faith that inspire and go straight to the heart! Nikki at Our Jolly Little Home-A blogger with variety! Recipes, opinions, stories from the heart. What is a piece of advice you’ve received that you want share with others? You are one awesome momma, and it seems like we were cut from the same cloth in a lot of ways 😉 Loved reading this!